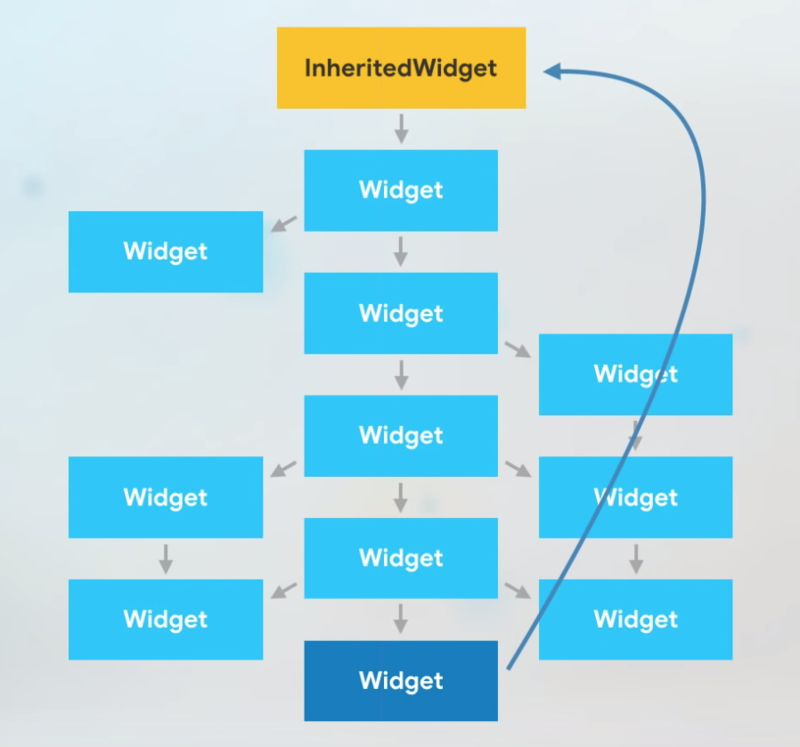 Today we are going to see how to use inherited widgets in Flutter. You may have seen ‘Theme.of(context)’ in one some Flutter applications or you might have used it. The thing is ‘Theme’ is available for the whole application and in every widget correct? 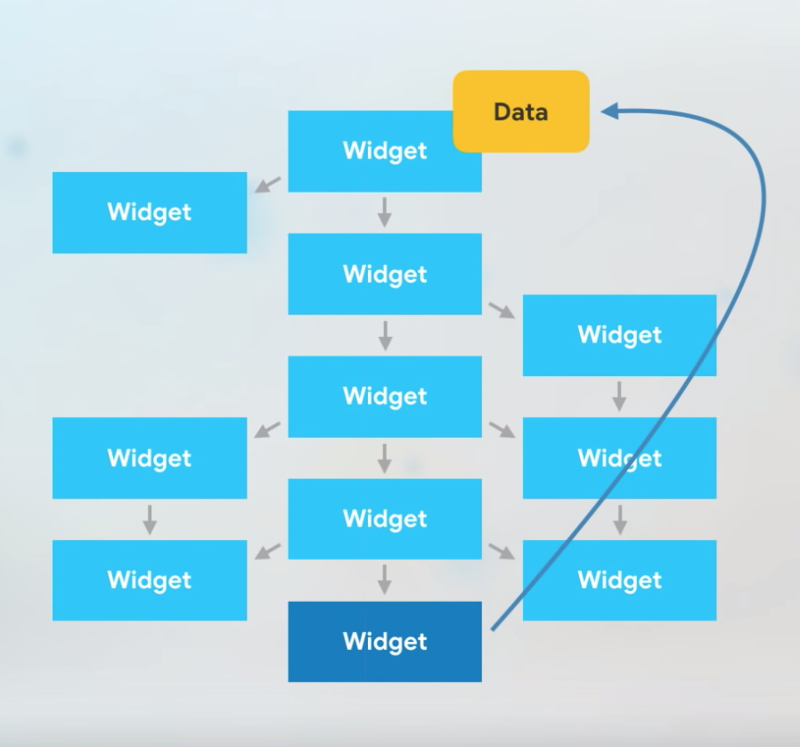 Let’s say you have a lot of widgets(Screens) in your application and you want to pass data between widgets. Of course you can pass data between screens using their constructor, but what if there are a lot of widgets, it becomes a mess correct!!. It will be more complex, isn’t it? But you may want to pass the data from the last widget you added and update in the First Home Widget. How to do that? Inherited Widgets can come to the rescue. This is one of the ways you can do State management of your complete application. We can make the Inherited widget, the root of our application and set the data in that root widget, so that i can pass data to the widgets under it and vice-versa. The below diagrams explains the above scenario. Here I am going to create two Screens, First HomeScreen and other the FormScreen and we are going to send the name typed in the form in the FormScreen to the HomeScreen. We are going to have a user object in our app. To keep it simple I am just providing ‘name’ as the member. 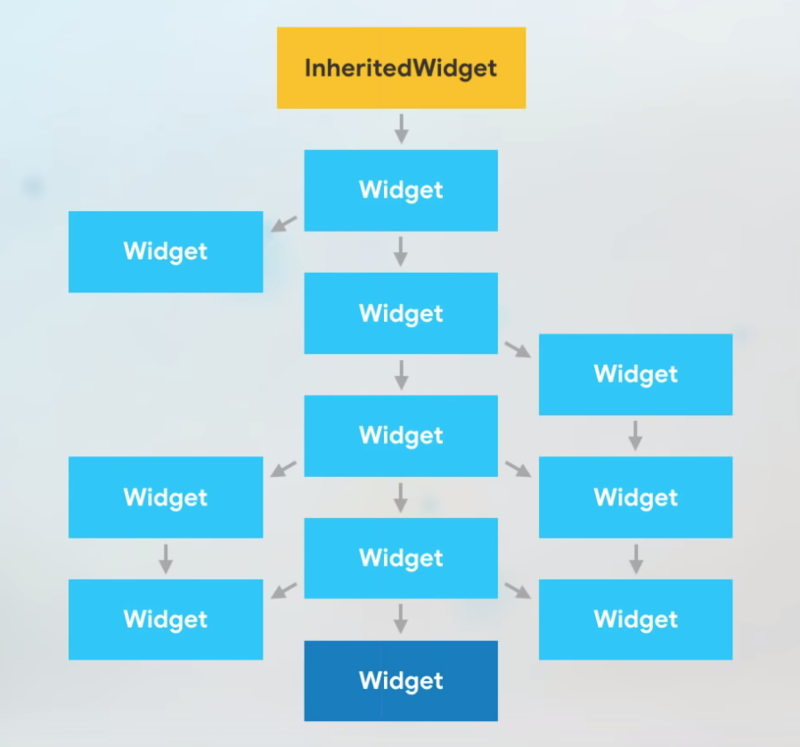 State Container – inherited Widget. Below is the code for the inherited widget that contains the data saved by the FormScreen. Create a new file named “state_container.dart’ and copy the below code. Let’s see the complete code first and then I will explain one by one. I am gonna explain how we are going to use it below. 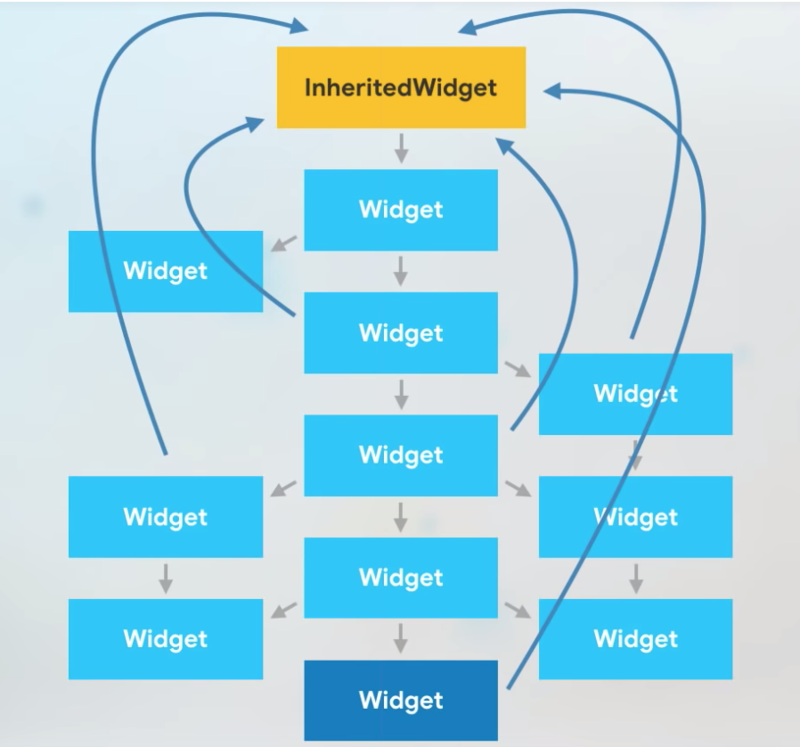 Here we have two Widgets, one is the ‘StateContainer’ class and other one is the ‘InheritedStateContainer’ which is the actual widget that inherits the InheritedWidget. We will be using the ‘InheritedStateContainer‘ inside the ‘StateContainer‘ Widget. Take a look at the below function in the StateContainer. 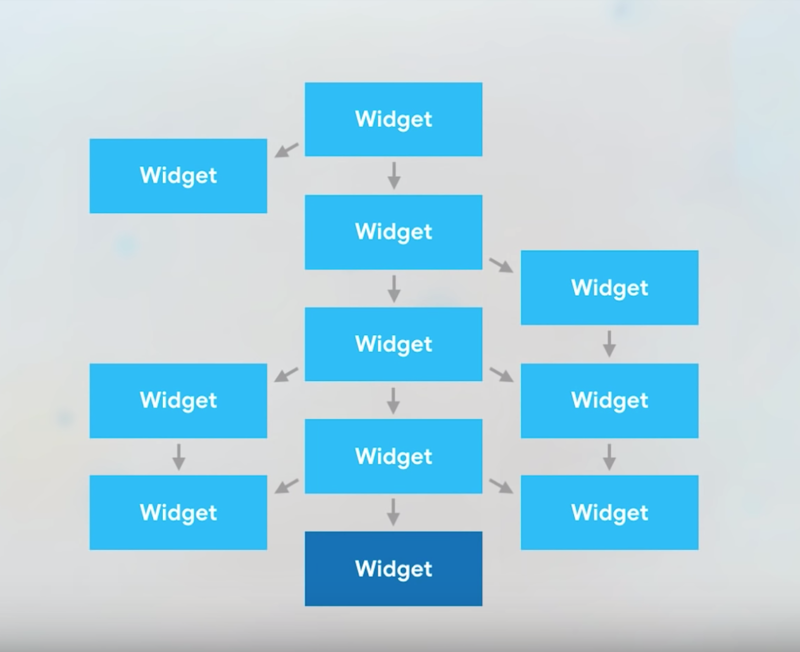 You can have any name for this function, but to make it look similar to the inbuilt inherited widget ‘Theme.of(context)’. We are going to make the user available to the whole application…Correct!!? 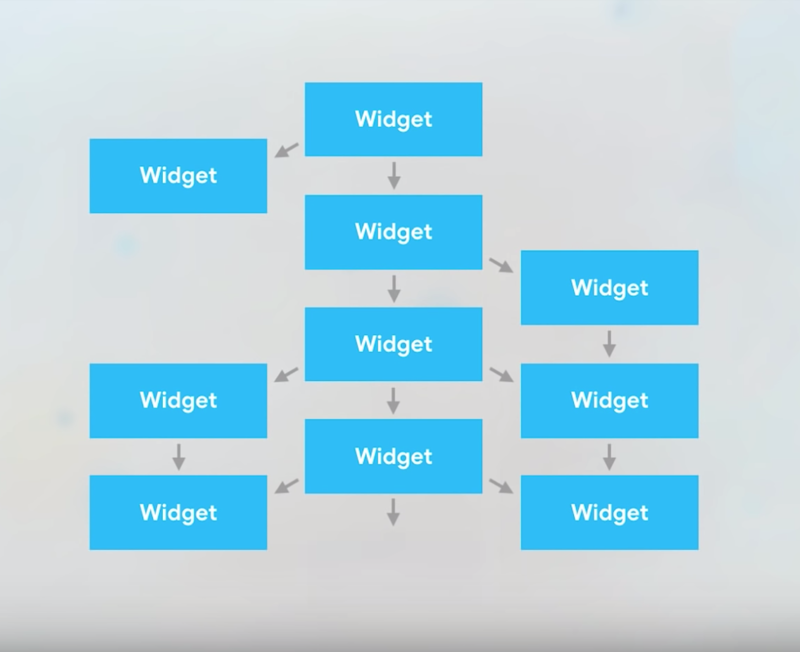 The main thing you have to do is to make the inherited widget, the root widget of the application. So our main.dart file will look like this. We are declaring a User object in the HomeScreen and accessing the State from the StateContainer like this. onPress of the button in the HomeScreen, we will open the FormScreen. Our FormScreen just has a TextFormField that takes the values typed by the user and saves it in our Inherited Widget. Let’ see whats the code for FormScreen look like. Here also, we will be accessing the function that we wrote in the StateContainer to save the user to the state of our Inherited Widget (the StateContainer). Note : The important thing to note is that the state object (here user) is immutable in the StateContainer, so we will be creating if it is null and updating it when it is not null. Check the StateContainer updateUser function. So now our ‘user’ is shared across the screens in our app.